As the UK’s biggest selling jazz monthly, the award-winning Jazzwise magazine covers everything from the cutting edge of contemporary jazz, mainstream, fusion and free-jazz to jazz electronica and world music. And with features such as ‘Taking Off…’ they play a big role in highlighting developing talent, as well as providing news, features and reviews of big-name international artists. 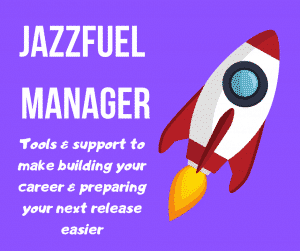 Jazzwise editor Mike Flynn took some time to give his insight on jazz journalism, promotion and career-development for this Jazzfuel Q&A. A journalist of almost 20 years’ experience – and a gigging bass guitarist for even more – Mike has worked in several high-profile positions in the British music scene, including as a judge on the prestigious Mercury Music Prize, editor at Time Out London, freelancer for a whole host of British publications and writer for BBC Radio 2 jazz documentaries. In 2010, he was voted Jazz Journalist of the Year at the Parliamentary Jazz Awards. 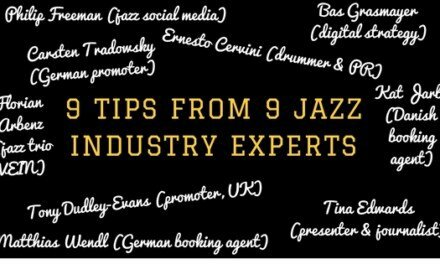 All that, to say: this is an interview well worth checking out if you want some insight from someone with buckets of experience in promoting jazz to the masses! Most of the Jazzwise front covers have strong input from the magazine. What makes a great photo and what’s the most memorable one you’ve done on the front page? The cover of the magazine is really its shop window – but it’s also about conveying some kind of attitude and the musician’s personality. If something isn’t visually engaging it can be hard to grab people’s attention today. That said, the memorable covers for me feature a wide range of artists – I loved Sonny Rollins’ ‘snow–fro’ from a few years ago; we found an amazing photo of Sun Ra with an incredible sequin head-wrap, and more recently I loved our Esperanza Spalding cover in April which just looked stunning. In terms of specially commissioned covers, sadly our budget constraints mean we can’t do that many – however for our July issue this year I had the idea of gathering four of the stars of the current London scene – Nubya Garcia, Moses Boyd, Theon Cross and Joe Armon Jones – and using them for our Love Supreme issue. We did the interview on the same day as well – so I was really pleased all that came together – it took about three months of planning! If you had just recorded your debut album and had £500 to spend getting it ‘out there’ what would you do? Well no matter how much your budget is you need a gig! 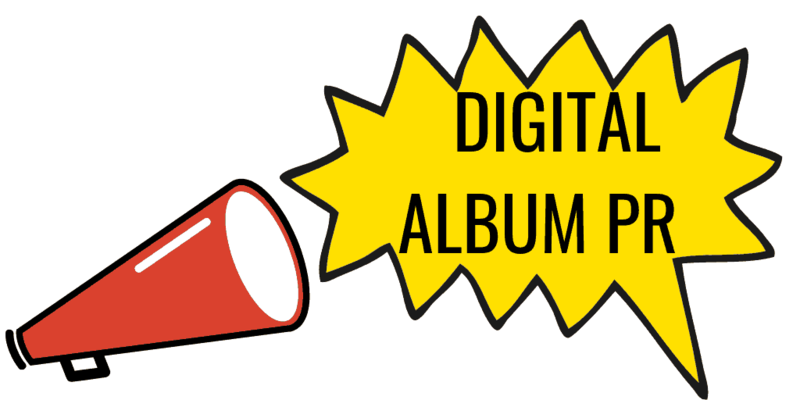 That’s really crucial to launching an album – and gives you a good deadline to work towards. I think video is the primary means of engaging with a lot of people online – it also works across all platforms and now that Instagram is becoming the go-to social media platform for many musicians, so I think investing in a promo video is essential. Live streaming a rehearsal can also be very effective, one well-known musician told me recently that just two minutes of footage from a rehearsal helped them sell-out a gig – so use it to your advantage. You can direct your fans to your Facebook page for the full video too… and your fans can share it – even a short promo specifically for the album launch is worth it. By all means hire a PR but you can write your own press release – or ask a friend who writes well – and then get the music out to as many people as you can. I don’t mind a wordy email as long as the person seems like they have their ego in check! Wading through a list of quotes about what a “game changer” this person is or how “amazing” they are is very off-putting – it’s not the sort of thing you get from an established artist, young or old, and as jazz is such a challenging art form I know that the best players often feel like they’re continually evolving and learning – as a music it’s a great leveller. What interests me is music that has an imaginative angle or story and some clearly defined vision – who the person or band are working with is also interesting and of course if an album is on a good label then that’s another point of interest and may prompt me to follow up. Ultimately it comes down to the music. If it’s good, then that usually jumps out in one way or another. There’s no substitute for meeting musicians in person too or seeing them live – often I’ll have a conversation with someone at a gig and then we’ll be in touch afterwards – so direct contact helps build good relationships between the magazine and the people we cover. How do you see the magazines role in building an artist in 2018 and beyond? While magazines are ‘old media’ pretty much every musician loves an article in print! I think there’s something about making it into print that says something about the quality of the work presented – it means an artist has developed to a serious level to stand out from the crowd – and the writers we use have very often written about jazz for a long time, written books on jazz and are often musicians themselves. 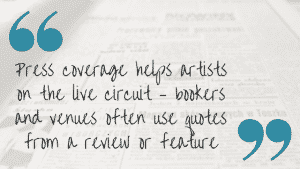 Where press coverage helps artists is on the live circuit – bookers and venues often use quotes from a review or feature in Jazzwise and other papers/magazines/blogs – snappy one liners that help them sell the gig to the public. So the press is still very much part of the fabric of arts coverage and is a bridge between the artist and their audience. Of course this can be bypassed by musicians now who can communicate directly with their fans but quality music magazines are a filter – hopefully recommending the best stuff or things you might not have heard of – which is vital I think with so much music now available instantaneously – help to find the good stuff is in short supply, so that’s what we try to do every month. 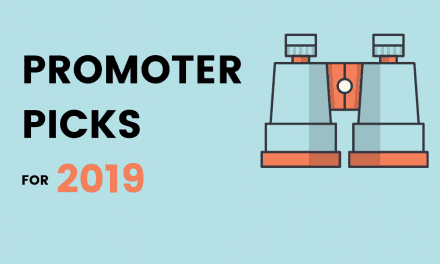 Do new artists need a publicist to get through to you and your writers? That’s a tricky one as from what I’ve experienced in the past fifteen years of working in the music press is that there’s no one formula to successfully establishing yourself as an artist. I guess it’s a combination of factors which also includes good timing. Recently I’ve seen some very new, mainly younger artists hiring PRs to push their music for them and when we’ve actually sent a writer to cover their gig the music didn’t match the hype – and it’s the same with albums we receive – the press release can be saying this is incredible and the music just doesn’t stack up. Personally, I’ve seen some artists doing a lot of the work themselves by relentlessly gigging and building an audience that way. I think when you’re in that position and you’re so immersed in your music day-to-day that’s when a PR person and manager can step in and lighten the load. 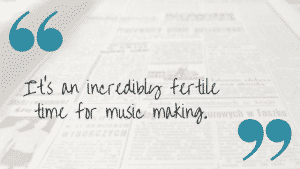 Aside from the music, what’s more important for a musician when it comes to grabbing press attention…. 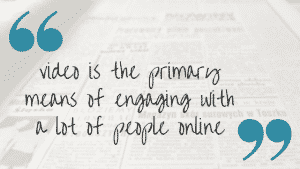 Great photo, great video or great quote from another well-known source? Get some great photos done as a matter of priority – you’ll need them for everything from promoting gigs, for your website and social media – and venue & festival programmes… and magazine features, listings, gig previews and news items! The music can be amazing but if people can’t see what you look like you may miss that split second chance for them to buy a ticket to your gig or check out your music… it’s a no brainer. Should musicians research specific writers when pitching for a review, or do the editorial team tend to decide that? No – as we usually know which of our writers will be best to cover something – very occasionally they might not like something we send them but musicians should stick to their guns and make the music they love and believe in – don’t worry about the critics! Where do you (personally) discover new artists? All over the place – on a gig, hearing side men/women who can sometimes be the standout players on a gig, or as the support band can have some new name who really stands out. I know hundreds of musicians on and offline so they’ll often recommend something they like and that’s good for discovering new music. Instagram may be short and sweet but it inspires a lot of creativity – many musicians I know share their works in progress and there are some truly incredible musicians out there under the radar but gaining big followings online – it’s an incredibly fertile time for music making. Jazzwise have co–presented gigs and jazz series’ in the UK before, to mark special occasions. Is that something you’ll be doing more of? 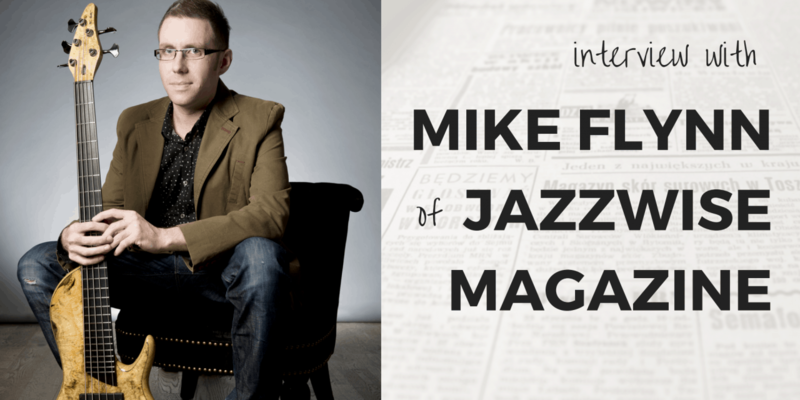 Mike Flynn is the award-winning editor of Jazzwise Magazine, a music journalist of 17 years’ experience and a professional bass guitarist based in London. 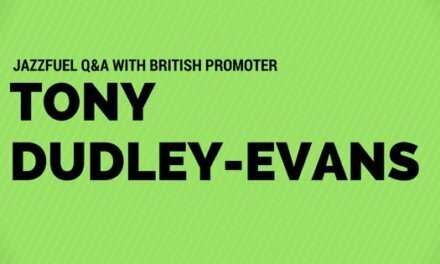 Previous experience includes being a judge on the prestigious Mercury Music Prize for eight years, 2008-2015, jazz editor at Time Out magazine in London for five years and feature writer for Bass Guitar Magazine, London Evening Standard and other publications. Mike was awarded Jazz Journalist of the Year at the 2010 Parliamentary Jazz Awards. During a ten-year period as a freelance writer Mike also wrote and co-produced radio programmes for TBI Media alongside multi-award winning producer Phil Critchlow, including a documentary for BBC Radio 2 ‘The Story of Ronnie Scott’s Jazz Club’ as it celebrated its 50th anniversary in 2009, as well as scripting a four-part Radio 2 series ‘Tony Bennett presents the Great American Songbook’, hosted by Sir Michael Parkinson. Mike has also worked extensively with live music producers Serious – running a new writers workshop for Jazzwise as part of the Write Stuff journalism course during the London Jazz Festival – as well as hosting musician masterclasses with renowned jazz musicians such as Joshua Redman and Christian McBride at the Guildhall School of Music. Alongside journalism Mike has played bass guitar professionally for over 20 years, currently leading seven-piece latin-jazz band J-Sonics who have performed at Ronnie Scott’s, Love Supreme, Canary Wharf and London Jazz Festivals among others, while he also writes and producing his own music. Jazzwise is the UK’s biggest selling jazz monthly and the leading English language jazz magazine in Europe. It reaches out to both the new jazz audience and established fans and has won Jazz Publication of the Year at both the Parliamentary Jazz Awards and the Ronnie Scott’s Jazz Awards, and Best Jazz Media at the 2013 Jazz FM Awards. Every month Jazzwise’s acclaimed team of writers takes you on the journey from the cutting edge of contemporary jazz, mainstream, fusion and free-jazz to jazz electronica and world music with hot news, gossip, nationwide gig guide, major features and one of the UK’s most authoritative reviews section. Jazzwise is committed to discovering new talent as well as extensive coverage of today’s scene and expansive retrospectives of jazz’s vibrant past.